The idea of adding faux handles came to my mind after I had seen them on coffee mugs at a friend’s place. 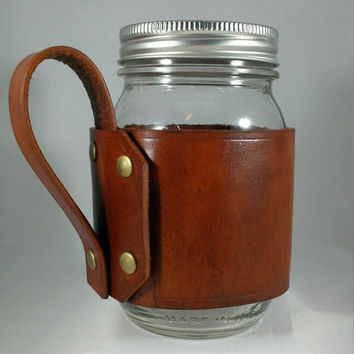 Taking assistance from her and doing a little homework on the web, I succeeded in making a fake leather handle for my mason jar drinking glasses. To get the accurate size wrap the leather around your glass and measure it correctly. 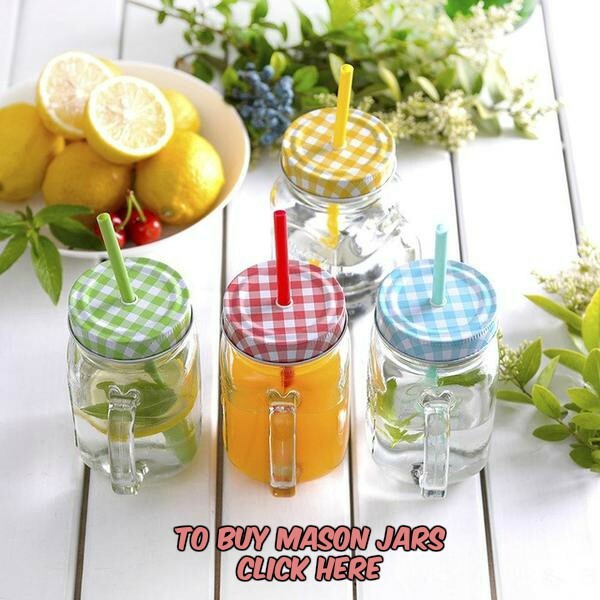 You can take your creativity a step ahead and add such faux leather handles to the mason jar wine glasses that you have made or even to the mason jar shot glasses. I could not resist my temptation of attempting at another forged one when I came across this tutorial. Though I haven’t succeeded in my endeavour yet, I will still keep trying. My kiddos were super excited about the idea of adding a lid and a straw to one of the mason jar handled glasses I got so that they could conveniently carry it out during a beach picnic. I added a Cuppow lid for my kids’ convenience. You can also go for a metal lid and drill a hole into it. 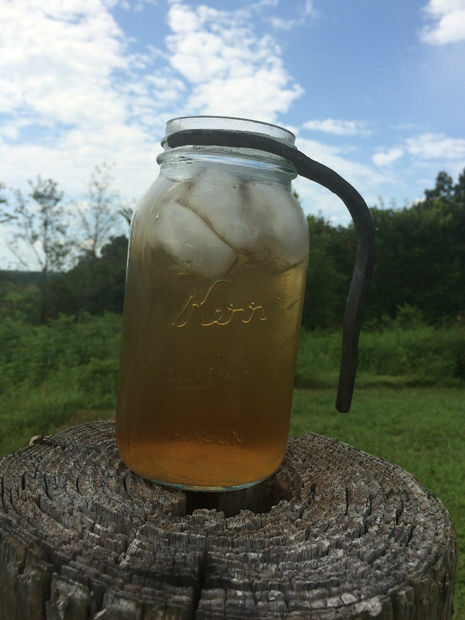 Bendy straws are a preferred choice for kids. 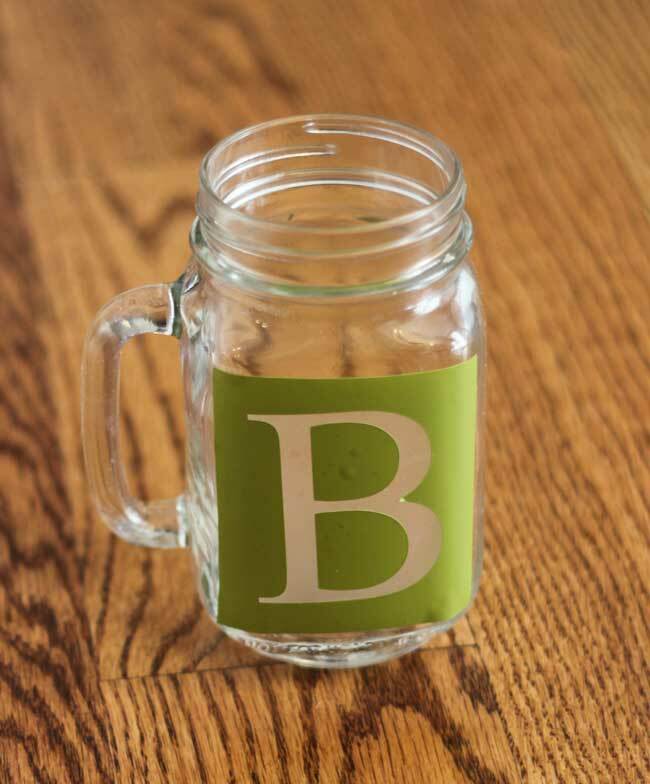 I remember attending a glass etching workshop during my third pregnancy, and decided to try the same out on one of the handled mason jar glasses to give it a personalized touch. I etched out “D”, which happens to be the first letter of my DH’s name. 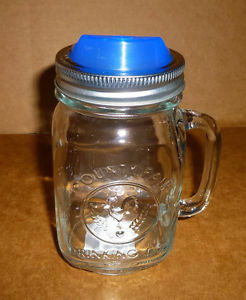 As my best pal, Nancy’s baby shower is round the corner with twins in waiting, I plan to gift her a pair of plastic mason jar glasses with handles and engrave the initials of her munchkins’ names ( which she told us on the gender reveal occasion), in blue and pink, along with matching ribbons sitting on top. 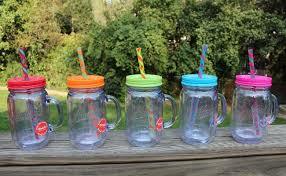 Hope these ideas would help in making your mason jar glasses with handles more attractive and appealing.